Leading Manufacturer of thermal transfer barcode label, polyester label, thermal label, thermal labels, plain barcode label and white barcode label from Mumbai. We are the leading firm of Thermal Transfer Barcode Label. To sustain the quality, our products are made under the guidance of industry certified professionals.Premium, bright white, ultra smooth paper facestock specially coated to provide optimal performance. 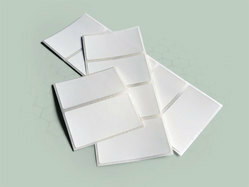 Available in direct thermal and thermal transfer. Offering includes standards, all-temp and removable adhesives. 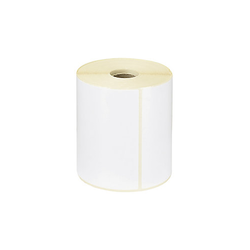 Being the well known name in the market, we are offering Polyester Label. Demanded in market for brand promotion and advertisement, these products are fabricated using premium quality polyester material. Available in various sizes & thickness, clients can avail the offered products from us at industry leading prices. Our offered label is valued for its water resistant, highly competitive pricing, high chemical resistance & excellent adhesion. 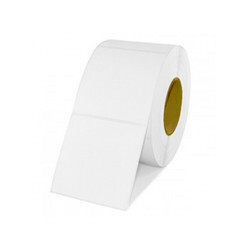 Polyester Label can also withstand conditions where standard paper label may easily fail. 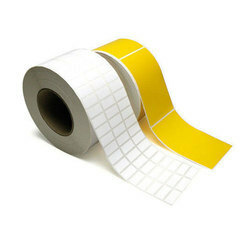 We are highly proficient manufacturer, supplier and exporter of Direct Thermal Labels (DT) in New Delhi, Delhi, India. Direct thermal labels offer high-quality barcode printing for numerous applications. 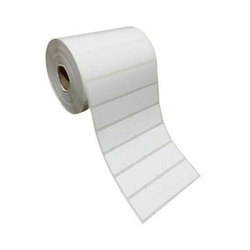 Unlike thermal transfer printing, direct thermal printing does not require a thermal ribbon. Instead, the process uses heat to start a chemical reaction within the label itself. This reaction creates the printed image. 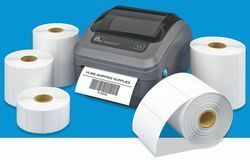 Direct thermal printing does not require ink, toner, or thermal ribbon. The only media that passes through the printer is the label paper. 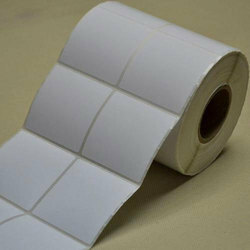 The chemical composition of the label paper and the thermal print head take care of everything. 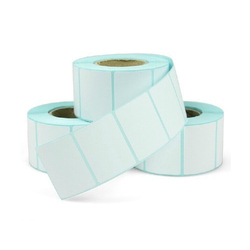 We are one of the leading names in the manufacturing of Thermal Labels. Keeping in sync with time, we are able to offer Plain Barcode Label to our patrons. The Barcode Labels we manufacture are widely used in shopping malls, food stores, hospitals. These barcodes have got certain numbers written on them, which is the serial number of the product. These numbers are readable with help of barcode scanners, which lesser the chances of theft in the shopping area. 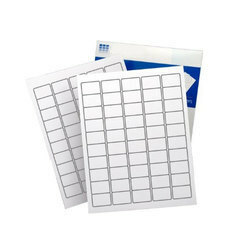 Being the foremost names of the industry, we are involved in providing an extensive range of White Barcode Label. 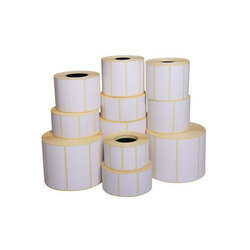 We are the manufacturer of Direct Thermal Labels. We offer A4 Barcode Label to our clients. 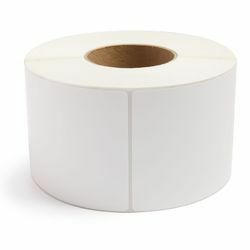 We offer Thermal Transfer Labels to our clients.